I was not able to get butternut squash, hence I replaced it with pumpkin. And I replaced pancetta with bacon. Penne was also replaced with Tagliatelle by a dear friend and her hubs! 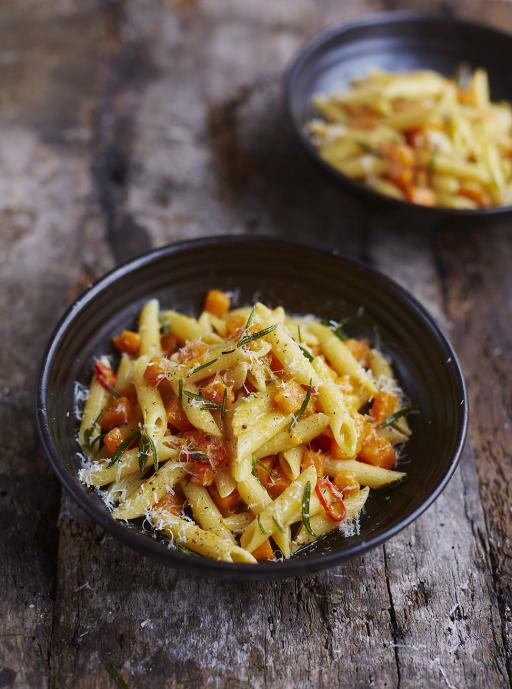 The result: Equally balanced with the right sweetness from the pumpkin and saltiness of the bacon, making it a wonderful pasta dish that warms up the tummy.